You are here: Home / Global Dating / Is Asian Dating the Best Site to Meet a Filipina Lady? The guy who asked me this question is 43-years-old, has never been married, and wants to find a loyal Filipina lady. He told me about how he wants to find a woman to settle down and to start a family with. I told him that I want to help him. Without thinking about it, I replied that AsianDating.com is the largest Asian dating site on the internet. I know that the site has more than 2.5 million members from all over Asia. Heck, of course you can meet a Filipina on this site. This site is exclusively for men who want to meet Pinay girls and guess what…it has more members than the largest Asian dating site. At first, I couldn’t believe it. I mean, I tested and reviewed both sites. Here you can check out my Asian Dating review. Here you can check out my Filipino Cupid review. But I never compared both sites with each other. If you had asked me which site has more members, I would have answered “Asian Dating”. Of course, they feature women from all over Asia. The truth, however, is that Filipino Cupid has way more members (1.000.000 to be precise). Does Asian Dating or Filipino Cupid Have More Filipina Members? Does Asian Dating or Filipino Cupid Have the More Beautiful Women? Are the Girls on Asian Dating or on Filipino Cupid More Proactive? Is it Easier to Set up Dates on Asian Dating or on Filipino Cupid? Of course, the membership numbers of both sites already reveal it. Filipino Cupid has more members than Asiandating.com and all of the female members are from the Philippines. 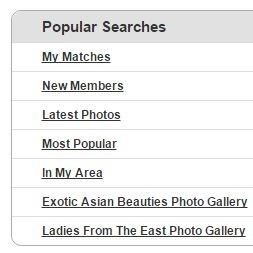 I don’t know the official numbers of Filipinas on AsianDating.com, but I guess there are at least three times less than on Filipinocupid.com. That’s why I compared the number of members in smaller cities in the Philippines. By doing this I wanted to prove that the guys from Cupid Media don’t just write arbitrary membership numbers on the homepages of their dating sites. So yeah, if you want to meet as many Filipinas as possible, it’s obvious that Filipino Cupid is the better choice…even if you are looking for them in the smaller cities that no foreigner has ever been to. What about the beauty of the girls? Both sites are full of incredibly beautiful Pinay women. That’s for sure. But I wanted to find out where it’s easier to meet the real stunners. I bet you want to know where you can meet a Filipina lady who takes your breath away. First, I checked out the girls that you can find in the “Most Popular” section. …with the girls in the Glamorous Filipinas Photo Gallery and the Filipino Bikini Gallery on Filipinocupid.com. Unfortunately, I’m not allowed to share pictures of the girls with you, but you can believe me when I say that the Pinays on Filipino Cupid are hotter than the ones on Asian Dating. Maybe it’s because of the Cheerleader Effect (there are just so many). Maybe it’s because I was blown away by the Glamorous Filipinas Photo Gallery. Probably it’s because I thought back to my time with a girl I met on Filipino Cupid. Yes, I’m biased. I admit it and I don’t care. After two different experiments I still believe that every man who wants to meet and date a Filipina lady should choose FilipinoCupid. You sign up on an international dating site, fill out your profile, upload a picture, and then you do nothing. Yes, you do absolutely nothing. You just wait and see what happens. And after ten minutes you stare at your laptop with your mouth wide open. That’s what’s going to happen when you sign up on one of these two dating sites. I’m not kidding. And it doesn’t matter which one you choose. You’ll receive dozens of messages from beautiful Filipina ladies. This will happen to you… no matter if you decide to join Filipino Cupid or if you decide to give Asian Dating a shot. Filipino women are so crazy for white men that you will get messages from hot young girls on both sites. It doesn’t matter if she’s ten years younger than you. It doesn’t matter if she’s out of your league. And it doesn’t matter if you want it or not. Where will you get more attention? I waited for 24 hours and looked at the results. 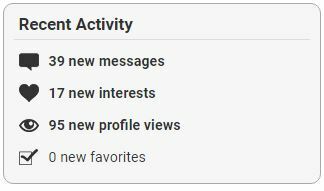 Within 24 hours I got 41 messages and 20 new interests (without doing anything). I then had a look at the data and discovered that 22 of these messages and 8 of the interests come from Filipino women. The remaining messages and interests were mainly from Indonesian, Thai and Vietnamese girls. 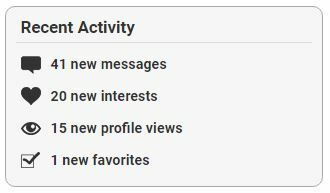 Within 24 hours I got 39 messages and 17 new interests. Besides one message from an African woman in Manila, all messages were sent by Filipina ladies. You will get more messages and more interests on Filipino Cupid…at least if you only want to get messages and interests from Pinays. It’s ridiculously easy to set up dates with Filipina ladies, no matter if you contact them on Asian Dating or if you decide to chat with them on Filipino Cupid. Heck, these cute girls are known for being very open to dating foreign men. I’ve used both dating sites and I had dates with girls from both sites. And while testing and reviewing both sites I got dozens of replies from girls who screamed “yes!” when I asked them to go on a date with me…in the very first message. Dating in the Philippines is fun, easy, and good for your self-confidence (but dangerous for your ego). It’s up to you which one of these two dating sites you want to choose, but if I booked a flight to Manila next week, I would choose Filipino Cupid. This is a question that I get asked a lot. And to be honest, there’s no easy answer because it is in fact easy to meet Pinay girls on Asiandating.com. But that doesn’t mean that it’s the best site. That’s why I made a little experiment and compared Asiandating.com with Filipinocupid.com to see which one of these sites is better. I had a look at the member numbers. I compared the beauty of the women by looking at the most popular members and at the photo galleries. Oh, and I had a look at all the messages and interests I got from Filipina ladies on both sites. The results speak for themselves. Both sites are amazing for men who want to meet, date (and maybe marry) a beautiful Filipina Lady. But I have to be honest. Filipino Cupid outperforms Asian Dating on every level.